After a year of drought and weatherd challenges, some cattle farmers are putting in extra cover crops this fall to ease the forage burden. 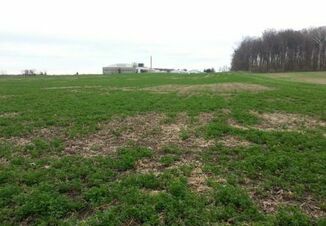 Here’s the top six cover crops Midwest cattle farmers are using to stretch fall and winter grazing. Cereal rye is one of the top cover crops used in the U.S. for both agronomic and grazing. It is popular because it is cold-hardy and can be planted later in fall than other crops, and it provides excellent erosion control and incredible growth in spring. It’s also easy to graze. The key is to know exactly the goal you want to accomplish. How long do you need to graze it, and what is your crop plan for that field in the spring? A potential drawback is that when rye is used on poorly drained soils that stay cool and wet in the spring, such as claypan soils, the decaying rye can sometimes slow corn establishment. Another caution is that the rapid spring growth of rye can take first-time users by surprise and create a slight risk of complications with spring planting. In many cases, even 5’-tall rye can be killed with glyphosate or by rolling. Annual ryegrass is a completely different plant than cereal rye, with fine blades and smaller stature more like a turfgrass (ryegrass is often sold in turf mixes). Annual ryegrass is fast-growing and easier to establish by broadcast seeding than other grass cover crops. It needs to be planted earlier than cereal rye to get good fall cover. Ryegrass is conducive to interseeding applications in corn or soybean as it is relatively shade-tolerant. Annual ryegrass turns brown over the winter, but depending on planting date, location and winter conditions, will generally regrow in the spring. Where it does overwinter, timely herbicide application in spring is needed to terminate it. Use of a cover crop–specific variety will make spring termination easier. 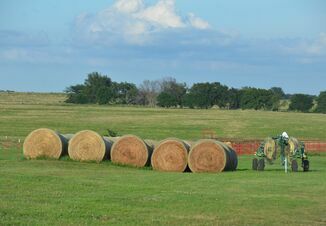 Annual ryegrass makes a good forage and, as a cover crop, is known for rooting deeply in the soil and providing good erosion control. Oilseed radishes have become a popular cover crop due to their rapid fall growth, deep taproot, good fall soil coverage (if planted early enough). Radishes normally winterkill in Missouri. They establish relatively easily when broadcast seeded, which is good because radishes often need to be aerial seeded in late August or early September to achieve adequate fall growth. Review the residual herbicides applied to the preceding commodity crop to make sure none will affect radish establishment. Like radishes, forage turnips are a member of the Brassica family that does best if planted in early fall. Although not as vigorous in growth as some oilseed radish varieties, turnips are superior for grazing. Both the leafy top-growth and the tuber are good forage. Turnip top-growth typically dies by late December. Turnips are often mixed with another forage species, such as cereal grass. Teaching the little one about turnips and enjoying the cattle grazing our cover crops. Widely available and normally spring-planted for grain, oats have the advantage of strong fall growth as a cover crop. Many first-time users of cover crops appreciate that oats will winterkill and require no special management in spring. However, the erosion control provided by oats in late winter and spring is less than that from overwintering cereals such as cereal rye, triticale and wheat. A cross between wheat and cereal rye, triticale has some of the hardiness of rye but the shorter stature of wheat. Considered a good cover for erosion control and for grazing, it works well in combination with other cover crops, particularly legumes. Are your cows munching on clover or turnips this fall? Find more information about cover crop mixes and suggested seeding rates and read these common Q&A about covers. 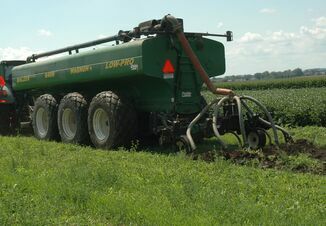 Send me a note what mix is working well for your forage needs this year, and any tips you’re willing to share in future articles, by emailing sbrown@farmjournal.com.